Are you decorating your roof for Halloween? Great! That’s one way to improve that stunning rooftop without the intervention of an Orange County roofer. And it’s a good thing you're content with going solo. You see, exterior decorating is something well beyond the scope of the average roofing professional. We’ve got enough to keep us busy, what with all the replacements and repairs on our schedules. And then there are the many inspections keeping us hopping month after month. So, you’re pretty much on your own when it comes to jazzing up the ol’ rooftop. Still, that doesn’t mean we can’t help the cause in other ways. For instance, there’s the just-mentioned roof inspection. By checking things out, a qualified Orange County roofing company can confirm your roof is suitable for decorations. These items, of course, can vary in size, shape, and weight. But no matter what a decoration’s dimensions, it potentially can exacerbate existing problems. Therefore, homeowners unquestionably should have a professional verify that none of those problems exist. Among the issues that will be searched for are mold, loose shingles, and other possible damage. If the inspection reveals any of these problems, repairs may be required prior to decorating. Just as an Orange County roofer knows the value of teamwork, so should the roof-decorating homeowner. True, jazzing up the roof is an opportunity for personal expression. Nevertheless, the participation of others could prove immensely rewarding. Invite friends and family to help plan the rooftop transformation. The combined brainpower very likely will generate wonderfully creative ideas. And once the ideas are implemented, admiration will pour in from all corners of the neighborhood! No matter you live, it’s important to make good decisions regarding Halloween roof decorations. If you’re wondering about how your chosen decorations might impact your roof, or if you have any other concerns, be sure to consult a local professional. Perhaps you hang your hat in San Clemente. OK, simply contact a San Clemente roofer for more information. Then enjoy the holiday to the fullest. 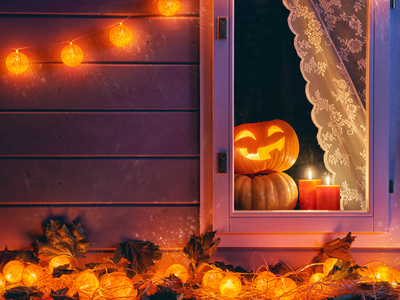 If you have questions about Halloween roof decorations, be sure to reach out to Luke Roofing. A long-established Orange County roofer, we provide prompt, reliable expertise for every residential roofing and commercial roofing need. No matter where you live in OC, you can count on Luke Roofing for the most efficient, reliable roofing solutions.